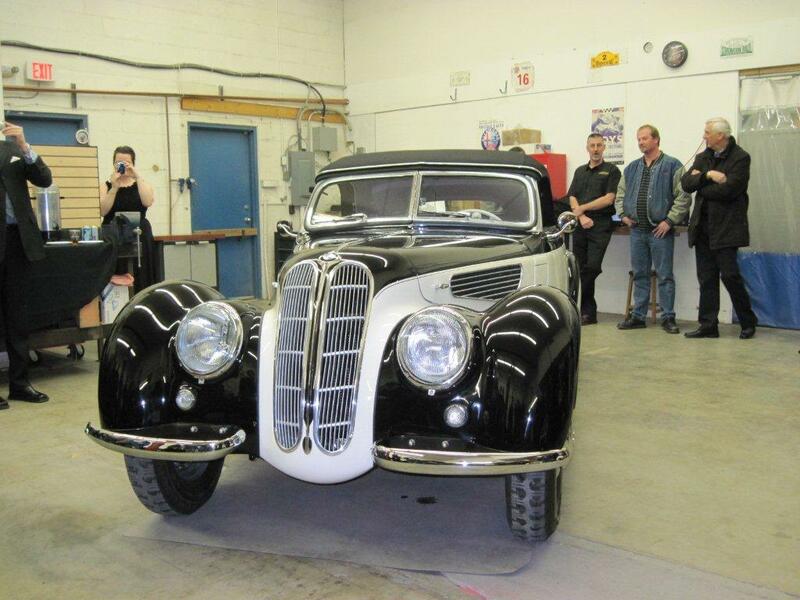 Vintage Racing Club of BC | Restored BMW 327 / 328 Unveiled! 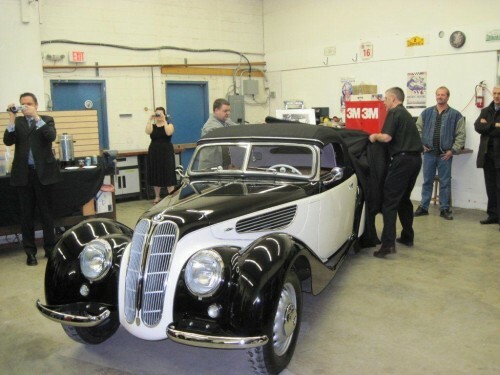 Restored BMW 327 / 328 Unveiled! 24 Feb Restored BMW 327 / 328 Unveiled! VRCBC Members were among those invited to attend the unveiling of a beautifully restored 1938 BMW 327/328 at Jellybean Autocrafters in Surrey, on February 23rd. 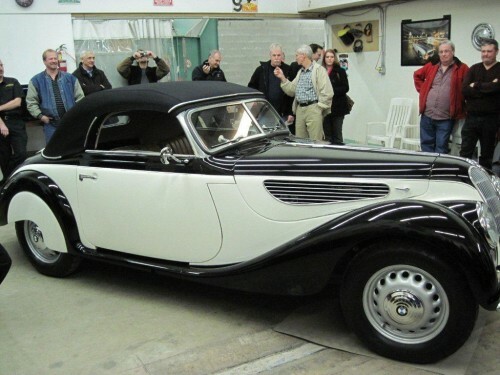 This BMW model is generally acknowledged as one of the most significant automobiles in history. 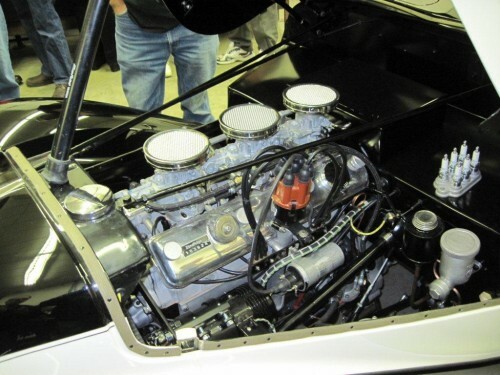 It had leading-edge performance and handling for its time, with its tubular frame and 2 litre, inline six cylinder engine, featuring triple carburetors and hemispherical combustion chambers. 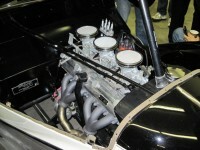 At first glance, the engine appears to have the typical, double overhead camshafts but actually the opposed valves are operated by a single, low-mounted camshaft through a unique combination of multiple push rods and rockers. Various versions of the 327 / 328 won many races and rallies, and the same engine continued to be used very successfully in Frazer-Nash, Bristol and AC cars in the postwar years. The extent of the work carried out by Jellybean can be very clearly seen in the story and the photos (here) on their web site. A very high percentage of the new pieces needed were not available anywhere and had to be fabricated on site. 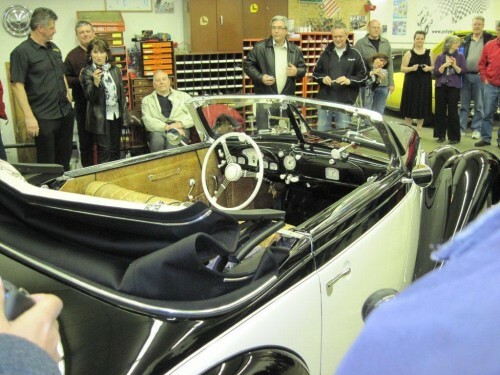 Some components such as the engine internals and the wiring were upgraded (although cleverly hidden) so that the car could be used safely and reliably on the road, under current conditions. The engine started at first crack and sounded great! 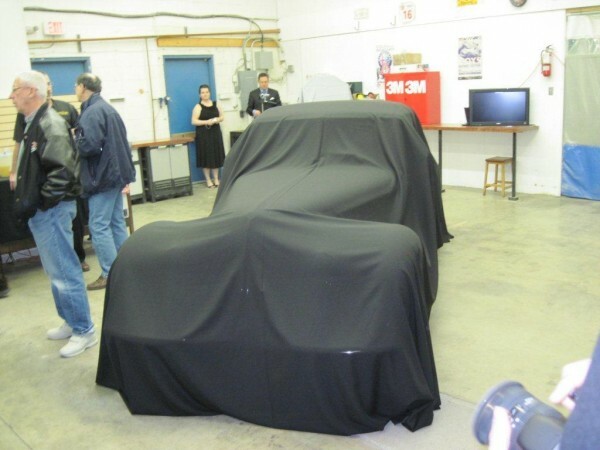 The owners, Stephen and Annie Norman, intend to enter their car in Vintage rallies and other events. 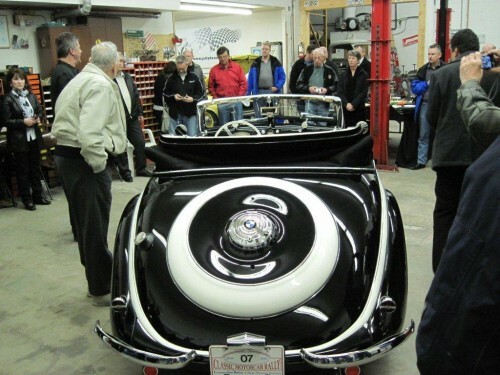 This is very good news for VRCBC members, who believe that classic performance cars are meant to be used in their proper environment – not just parked and looked at! 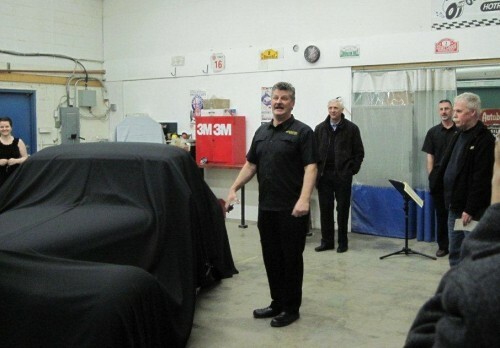 Our congratulations to all involved in this project; it is very impressive! 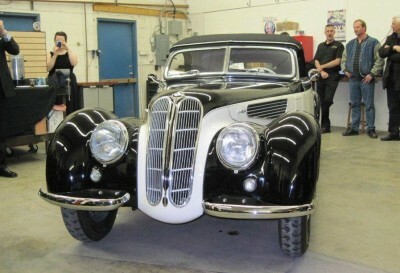 BMW 327/328 - The competitors' view!